1. The slogan must not be copied from anywhere else. 2. Copyrighted or trademarked content must not be used. 3. Any submission after the submission date will not be entered into the competition. 4. All entries will be posted on facebook page of knowledge steez www.facebook.com/theknowledgesteez . 5. Any entry which shall not be able to gain votes shall be disqualified. 6. Only one submission per user is allowed Last date for submission is 10/June/2014. 7. Submissions using fake accounts, fake likes , click fraud etc will automatically disqualify. 8. Top 5 voted slogans will be reviewed by our team and the one winner will be announced on 20-june-2014 on our website. 9. We have the right to announce the winner of the competition without any declaration to the participants. winners will be guided through these emails for further steps. to, copyright and trademark) in and to the drawing and description, to knowledge steez.com. compensation, in any media now known, or hereafter developed. 13. The finally selected slogan becomes our property and may be used for any purpose determined by us. 14. 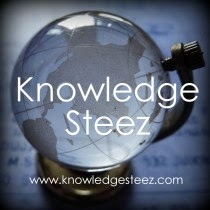 All disputes related to the contest will be taken care by team knowledge steez. 15. Knowledge Steez retains the write to disqualify any participant not following above guidelines. win cash award (worth 1000 INR) , and acknowledgement for your work and opportunity to work with us.